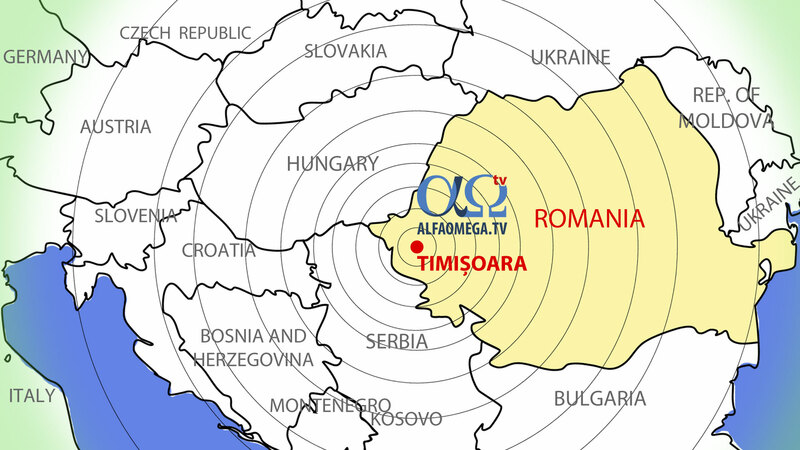 Alfa Omega TV is a media ministry founded in 1994 and located in Timisoara, ROMANIA. Our mission is to reach Romanians living in Romania and abroad, and impact other neighboring countries and communities in the Balkans and Eastern Europe. We are primarily involved in television, producing TV programs and airing two 24/7 channels, but we are also using print and new media to fulfill our calling. Who we are - If you know little about us, this is the place to start. Learn about our history and core values to familiarize with Alfa Omega TV. 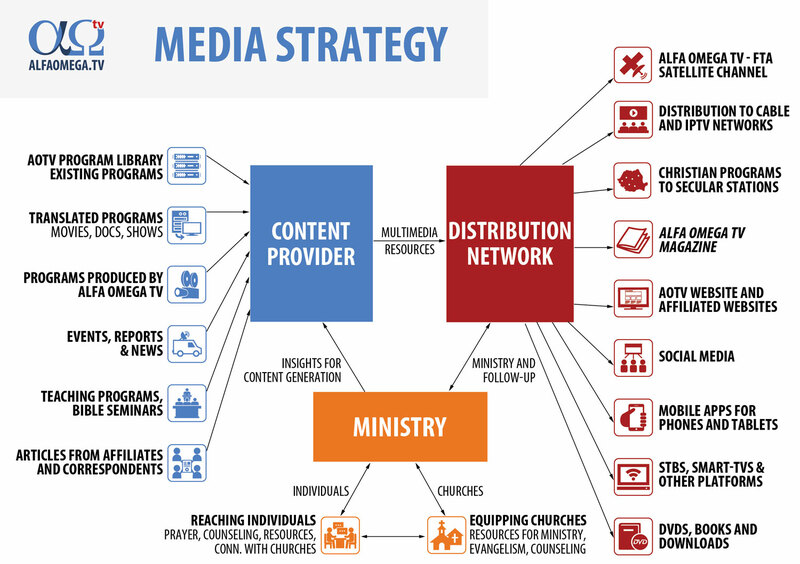 What we do - Learn about how we use media to accomplish our calling, ministering to the Romanian people and other communities in Eastern Europe. 2017 Ministry Report - Discover a little bit about Romania, and how He has used Alfa Omega TV to spread His Word in the year that passed. Testimonies - Watch testimonies from people that were impacted by our ministry: stories of salvation, healing, restoration and spiritual growth. The opening of our new studio - We've moved to our new studio, the Alfa Omega TV Communications Center! Take the tour! Endorsements - Watch videos and read what others are saying about us and about what we do, leaders from Romania & abroad. 1. Evangelism - Most of our audience is not born again. Via TV programs or web resources, we always present the Gospel in the homes we’re allowed in. 2. Direct Ministry - We are doing our best to provide prayer and ministry to those in need, through live TV programs and our follow-up ministry. 3. Spiritual life & growth - Many of our resources are for discipleship, to help people deal with issues, know God better, grow spiritually and be equipped for ministry. 4. Christians’ relevance to society - Every Christian is called to be salt & light, as they know God, mature and deal with issues. We do our best to encourage & equip regular believers to represent the Kingdom of God in their context. 5. Understanding the times - More than just being spiritually mature and a light in one‘s community, we believe it is important for Christians to understand the times we live in, to prepare and to prayerfully respond to them. We present realities from a Christian perspective. 6. 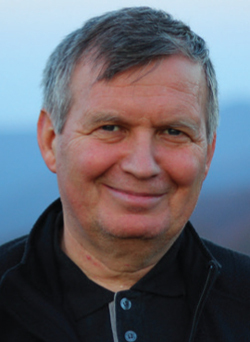 Reflecting God’s work in Romania - By reflecting what God is doing through His Church in Romania, we connect believers and broaden their perspective. Miracles are the means through which God interferes with our life, responding to prayers, changing circumstances. For citizens of the Kingdom, the supernatural becomes a natural way of living. God is a God of love, of righteousness, but He is also a God of miracles. Where our efforts and abilities reach their limits, God works on our behalf. In October 2011, the Holy Spirit told my wife Mirela and I to write in our agenda, at the end of each day, the miracles He had done for us during that day. Writing every night, I was amazed by the many extraordinary things He did for us every day. Not a day went by without His divine intervention in our lives, without an answer from Him, without solutions to our problem, without a new understanding of things and circumstances through revelation. The key verse that I received from the Lord back in 1994, at the beginning of our ministry, serving as a motto at Alfa Omega TV is from Zechariah 4:6: “‘Not by might, nor by power, but by my Spirit,’ says the LORD of hosts.” Looking back, I see the miraculous way in which the Lord has watered and has caused to grow this Christian media ministry in a post-communist country for the past 18 years. But, besides this, He discretely, unspectacularly, and sometimes painfully performs the miracle of changing my life every day along with serving in the media ministry Alfa Omega TV. If He transformed me - an atheist who rejected God for 40 years, focusing on his career and on the values of this world - He can cause a profound transformation in millions of Romanians. I believe that in the near future, God will bring a season when His Church wil be empowered, just as in the day of Pentecost, in the entire nation of Romania. I believe that Alfa Omega ministry is also called to be a catalyst, one of the channels through which the overflowing of the presence, the power and the anointing of the Holy Spirit will be reaching millions of Romanians. Is He able to change a nation in just one day?